Mobile disco for corporate events, parties and family celebrations of all occasions! Bringing Your Party To Life! Sounds Familiar Disco is a professional Mobile Disco based in Swindon, Wiltshire. 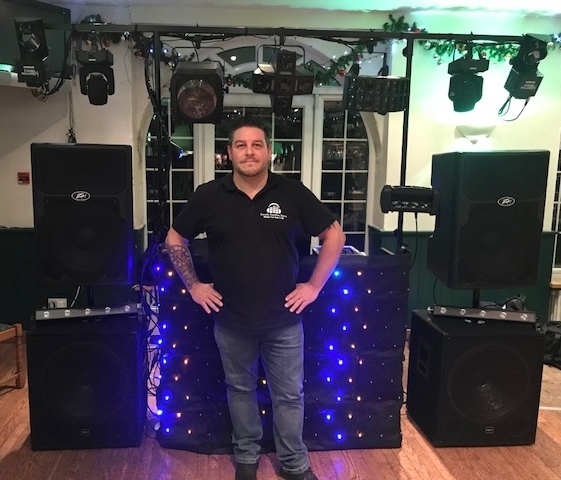 Established originally in 1994, I have built a reputation for providing quality Mobile Disco entertainment for all Private Functions and Corporate Events throughout the Swindon and Wiltshire area. I have £10 million Public Liability Insurance cover. I charge a reasonable, competitive price for the high quality service that I provide. Every booking made is confirmed in writing once your reservation fee has been received. The reservation fee is generally around 25% of the total cost. I do not operate a DJ agency or take bookings to pass on to other DJs. When you book me to provide your entertainment for you, it will be me that provides your entertainment, not anyone else. Of course if I'm already booked for a certain date I'll be happy to advise you of contact details for other DJs that may be available. You can then contact them directly to decide whether or not they can provide the entertainment that you require. You can place requests in advance for any special songs you would like to hear during your event. Of course any requests that you or your guests may have will be welcomed too, but taking advanced requests ensures that I have the songs you require on the day. Note that any advance requests should be made at least 1 week prior to the event. I have a very wide selection of music (1950s - Current). As mentioned above, I will endeavour to obtain any song that does not appear in my collection given a minimum of 1 week's notice. I play music that has general appeal and that people are likely to want to dance to. I aim to ensure that I do not play anything that could cause offence to anyone present, whether this be due to their race, gender, religion, etc. Of course if there are any less obvious specifc songs you'd like me to avoid, these can be made known to me in advance (e.g. at your wedding, you probably wouldn't want to hear the song that was you and your ex-partner's "song" as one of the slow dances!). If desired, an appointment can be made to meet with me in person to have an informal chat prior to making a booking. I will be happy to clarify any aspects of the service that you are unsure of, and to offer any advice I can to help make your event as successful as possible. Of course you can give me a call or send me an email instead if you prefer. As I own all the equipment that I use, I can ensure it is properly maintained and treated with care to ensure its continued reliability. To ensure that your disco looks and sounds as good as possible, all my equipment is modern and has been designed for professional use. The high quality sound systems used can be adjusted to suit the smallest or largest of function rooms. The lights will not consist of several coloured bulbs flashing on and off. Instead, the effects will be more like that you'd expect in a nightclub - the dance floor will be covered with colour and with beams of light moving to the music. I have invested heavily in the best equipment available over the years. 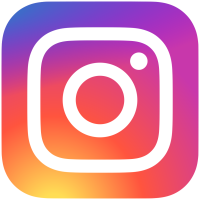 This is an ongoing process - some new sound and lighting equipment is purchased every year as new products become available, and likewise, older equipment is retired. I offer a reliable service. If I am booked to perform at a certain time, then I will be ready to perform at that time, not an hour or two later (subject, of course, to third party delays - e.g. if your meal runs late and I can't get into the room to set up until later, this is obviously outside of my control). I always arrive well before the start time of the event to give plenty of time to set up equipment and perform checks before the event starts. Backup equipment is available if required. Your event is your event, so any part of the service can be tailored to meet your requirements, from the lighting used and the choice of music to the volume it is played at. My name is Damian Legg. Thank you for your interest in Sounds Familiar Disco. I set up Sounds Familiar Disco originally in 1994, I became well known for providing a professional disco to my customers and built up a reputation for being a reliable DJ as there were (and still are) so many stories about DJs letting customers down by either not showing up, or by providing a poor quality service (e.g. playing music they liked themselves with no regard for the customer and their guests, or believing they could become "a DJ" overnight because they'd just bought some cheap equipment. I have been working as a DJ, playing a wide variety of music styles for an extensive range of events, in venues across Swindon, Wiltshire and surrounding areas since 1994. Today, with many years experience in the business, you can rest assured that you and your guests will have a great time at your event when you book me to provide your entertainment. Whatever the occasion, the chances are I have performed at many similar events over the years, whether it is a wedding, a birthday party, an anniversary party, a student night, a Christmas or New Year's party, a "retro" night, a charity fundraiser, a christening, a corporate event, or any other event you would like to organise!